Deborah Caulfield attended the symposium at M Shed, Bristol on 20 October 2017, held as part of the Festival of the Future City. It sparked a renewed curiosity about disability history and caused her to reflect again on her own story as part of that history. Archive photo from the Guild of Brave, Poor Things courtesy Bristol Records Office. It’s estimated that there are one billion disabled people around the world, yet it’s still unusual to find their stories in the UK’s museums. History of Place is one of several projects co-ordinated by Accentuate, a 2012 Legacy programme led by disabled artist Esther Fox. Funded by Heritage Lottery Fund, History of Place aims to rediscover the lives and stories of Deaf and disabled people over 800 years in relation to eight built heritage sites across England. Held at Bristol’s M Shed, this symposium brought together academics and community partners. A key theme of the event was the absence of disabled people’s voices in the archives. It was this aspect that got me thinking – and googling. As academic Mike Mantin says in his Introduction to Disability History, historians have been reluctant to include disabled people. He thinks the social model of disability is partly to blame because: “it allows almost no room for individual experiences of disability”. As I see it, historians need to look past the prevailing narratives of the period in question. Moreover, they need to question the very narrative itself. They need to ask: Who has the power in these stories? Who is doing the talking and who is being talked about? What would those being talked about say if they were asked? Would they, in fact, be able to speak up at all. Crucially, historians should always want to ask: in whose interests were these things said and done? From what I learned at the symposium about the History of Place projects, researchers have a real desire to get to the whole truth, to redress the balance, to fill the gaps, to find the missing stories of disabled people. One of the ways they’re doing this is to involve disabled people as researchers, to co-produce the research. This can lead to a different set of questions being asked than the ones the researchers might identify if working on their own. The Alliance for Inclusive Education’s How Was School project is a rare and wonderful example of co-produced research, where the words of disabled people are heard as they were spoken. It included my voice. The Guild of The Brave Poor Things was formed in London on 11 November 1894. The organisation, its name and motto (Leatus Sorte Mea meaning Happy In My Lot) were all inspired by the children’s novel A Short Life by Juliana Horatia Ewing. Due to the exceptional fundraising skills of its instigators and volunteers, the Guild was incredibly successful. Branches sprang up across the UK, including Bedford, Bradford, Reading and Grimsby. 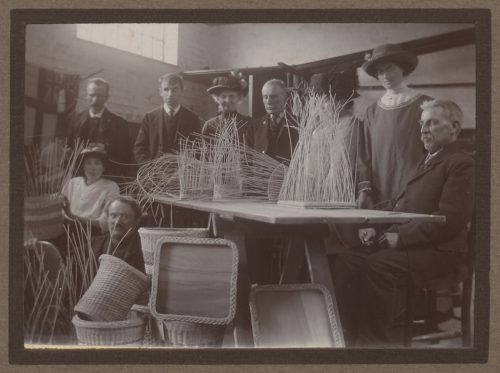 The symposium’s first item was about the Guild’s Bristol branch, whose headquarters, a pioneering building thought to be the UK’s first purpose-built for disabled people in 1913, still stands. 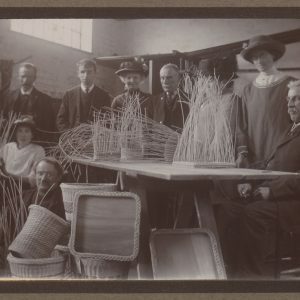 Established by Victorian philanthropist Ada Vachell (herself deaf from childhood due to scarlet fever) in 1896, it provided a social space and a hub for crafts and apprenticeships for disabled children and adults. It’s easy to mock, but there was a lot of pain and suffering going on in 19th century Britain, a great deal of illness and disability. So perhaps portraying disabled young people as wounded soldiers was Ada’s way of believing in them, giving them a sense of worth. 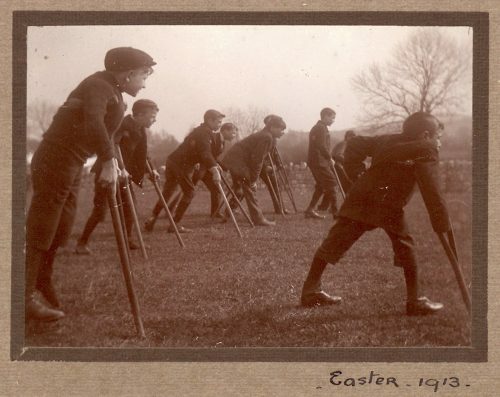 However, in so many cases hints that not all the cripples were brave. But the alternative to bravery was merely its flipside, to be perceived as a self-pitying burden – to oneself, the family and to society. Today’s researchers are asking, if that was then, how is it now, and what about the future? Sadly, the oppressive business of collectively forcing disabled people into two equally miserable stereotypes – hero or burden – persists. In 2012 disabled athletes were collectively labelled and celebrated (by others) as superhumans. By 2013 their status was at real risk of being systematically downgraded to that of undeserving scrounger. The Social Model of Disability sought to replace this binary narrative with a more nuanced approach. Here, disabled people are citizens with the same human attributes as everyone else, but with some differences in the way their bodies and/or brains work. Adjust the world to accommodate the differences and, hey presto, no one is disabled. Easy. Indeed. Making the world accessible for all is as easy as ending war. But first you have to want it and then you have to have the power to make it happen. Chailey Heritage was created in 1903 by Grace Kimmins. A prime mover and shaker in The Guild of The Brave Poor Things, she allowed no one to stand in the way of what she wanted. Her son referred to her as ‘a dictator, but a dictator of the best kind’. Institutions are less common nowadays. I say, good riddance, but I have friends who thank Chailey for teaching them independence. Granted, their impairments mean they’ve faced harsher barriers than mine, but the only thing for which I am grateful to Chailey is that it saved me from an abusive mother. But that’s another story for another time. In these times of austerity, I often wonder if our country is returning to days of The Brave Poor Things. The welfare state that baby-boomers like me knew and loved, has almost been and gone, wrecked by a callous and slavish devotion to neoliberalism. Soon, the safety net of the welfare state will be a distant memory, buried deep in the minds and bodies of those who never really had it as good as MacmIllan claimed. We’d better find – and use – our voices before it’s too late. Watch the film of the Symposium on the past and future of deaf and disabled people as a part of the Bristol Festival of the Future City. Brave Poor Things: Reclaiming Bristol’s Disability History – an exhibition telling the story of The Guild of the Brave Poor Things is on show from 14 October 2017 – 15 April 2018.